The clock said 9:15. We had started our children's bedtime routine at 7:45, which meant we had been at it for an hour and a half. It was one of those nights where everything was a battle- from getting in and out of the bath to picking out the “right” pajamas. It had been one of "those" nights for months now. With a toddler hanging from my shoulder and a screaming 7 year old at my feet, I glanced across the room at my husband for help. He was wrestling with our teething baby, trying to keep him from biting his shoulder, all while trying to explain to our 5 year old why she couldn’t take a bowl of cereal to bed with her to “keep under her pillow until she got hungry.” His voice was full of patience, yet he spoke every word like it weighed a hundred pounds. He had ketchup on his pants, and spit up on his shirt. He looked completely drained. He caught my eye and for a moment we just looked at each other… and I thought to myself- How did we get here? Just yesterday we were young newlyweds, certain that the power of love could conquer anything! All you need is love! Right?! We were blissfully unaware of things like unemployment, mountains of laundry, stacks of bills, or the grief of losing a child. There were days we thought we were busy, and tired... but the true meaning of those words had yet to be discovered. It didn’t take long before we became acquainted with the cruel realities of life. Even the monotony of day-to-day living started to take it’s toll. There were lists to be made, things to be done, and children to take care of. The days quietly turned to years, and suddenly I found myself looking across the room at this handsome man and thinking… when was the last time I REALLY talked to him? Sigh….This man. This wonderful amazing man… do I even know him anymore? My husband is going to school, and working full time, so our time together is extremely limited. I am the mother of 4 children under the age of 7. My children are young and dependent on me for everything. While in the trenches of motherhood it is often hard to remember that before I became a mother, I was a wife. I was a friend, a lover, and a companion. 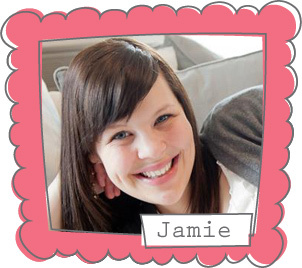 Just months after we were married, while I was still settling into my role as a spouse, we found out I was expecting. And now, here we are… four children later. I wouldn’t change the number of children we have, or our choice to have them so close together. I know that the decisions we made were right for our family. However, I had become so wrapped up in my role as a mother that I had put my relationship with my husband on the backburner without even realizing it. That night I decided something had to change. Over the course of the last few months I have put more effort into making my relationship with my husband a priority. Implementing a few small habits brought about some big changes in our relationship, and I wanted to share them with you just incase you find yourself in the same boat we were in. 1. Do the little things. Let’s be honest, between work, kids, and an endless list of things to do, date night often gets pushed to the bottom of the list. And far too often a weekly night out is not in the budget for us. But don’t despair! We have found it’s the little things that keep our relationship alive: Hold hands when you’re at the park with the kids, send your spouse a quick text to see how their day is going, let them know you’re thinking about them. When your husband gets home from work, stop what you’re doing and give him a hug and a kiss. Cuddle on the couch when you watch a movie… In front of the kids? Really? YES. Really. Children need to know their parents love one another. I have realized that my husband and I are the strongest example to our children of what a marriage should look like. How we treat one another becomes the blueprint for how our children will learn to treat their future spouse. Raising them in a home where their mother and father clearly love and value one another will set them on the right path for how to build their own healthy relationships. So yes, do the little things- and let your children see them. When women get together there is a tendency to start husband bashing. You all know exactly what I’m talking about and I’ve got two words for you- Stop it. Maybe he does leave his socks on the floor, and maybe he really can’t remember to take out the trash. But guess what? No one is perfect. How would you feel if your husband complained about your flaws in public? “Ugh, when I came home from work yesterday it looked like a tornado had blown through the house. My wife was STILL in her sweats, probably because they’re the only thing that fits her these days… she hadn’t even bothered to put on make up! The kids were screaming at the top of their lungs, and my wife hadn’t even thought about what we were going to have for dinner yet. Unbelievable! I work hard all day long, and yet THIS is what I come home to?” It’s not so funny when the tables are turned is it? So next time your girlfriends are swapping complaints about their husbands- resist the urge to join in. Praise him when he can hear you, and praise him when he can’t. Respect him and he will do the same for you. Build him up in front of your children, “Wow, you are so lucky to have a dad who will play tea party with you!” or “Doesn’t daddy look handsome today?” It will make him feel like the super hero he is. Be each other’s number one fan. Support one another, even when it’s hard. When my husband told me he wanted to go back to school to get another degree I told him that if it’s what he really wants, then I’m behind him 100%... even though it means surviving long days without him, living on a tighter budget, and doing it without making him feel guilty about it. I’ve got his back, and I know he has mine. Work together. Play together. You’re a team- so act like it! 3. Go to bed together. This seems like such a simple thing, but for some reason it is so hard for us to do. Too often I’m up late working on the computer, or my husband is studying, and we end up dragging ourselves into bed at different times. And I’m embarrassed to say that FAR too often we let a third party interrupt our alone time. Nope, not the kiddos. I’m talking about a nasty time-sucking tyrant called TECHNOLOGY. Laying in bed with my husband playing games on the ipad, and me on my phone surfing Pinterest for new recipes, and pinning articles about how to connect with your spouse (oh the irony.) 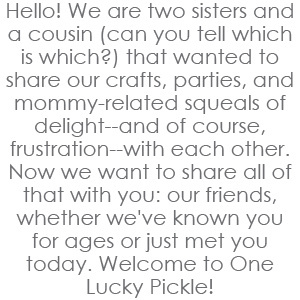 … we may as well be on separate continents. Our new rule is to turn off all electronic devices 30 minutes before bedtime. 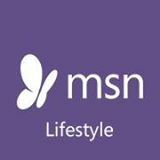 Those 30 minutes are our time together to talk and reconnect without the constant distraction of text messages or the ensnaring appeal of the Internet. I recently had a good talk with a friend of mine, and when I told her that my husband comes before my kids she looked at me like I was crazy. “What? Your husband is a grown man. He can take care of himself.” But here’s the thing - putting my husband first doesn’t mean my children’s needs are neglected. My responsibilities as a mother haven’t changed. My days are still filled to the brim with carpools, homework, spelling lists, skinned knees, dance recitals, sticky fingers, PB and J, and endless battles over who gets the pink cup (Would it be so hard for Ikea to make their dinnerware in ONE color?!? I'm just sayin'!) My plate is still as full as it was 6 months ago, if not fuller- but the days don’t seem as long. Why? I think it’s because I don’t feel alone in the chaos. My relationship with my husband is stronger than it’s ever been, and even when the kids are bouncing off the walls- our home feels a little more peaceful. 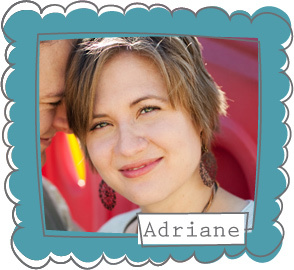 At first the idea of making my husband’s needs a priority stressed me out. After all, I’ve already got an army of little people who need my love and attention. The thought of one more person who needed a slice of my time was overwhelming. But do you know what I’ve learned? Putting my husband first isn’t really a matter of how I divide my time during the day. 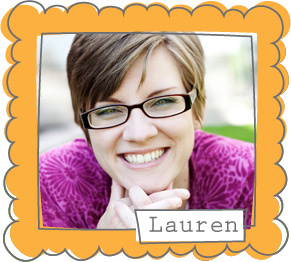 In fact, if we were to graph it out, the kids would definitely get the bigger piece of the pie! So what’s the difference? It’s not so much about the size of the slice of pie, it’s about the quality of it. It’s not about how much time my husband and I have together- it’s about making the most of what we have. And it’s worth the effort. A happier marriage = a happier home. So tonight, as I look across the battlefield at my husband as he rocks our baby to sleep, his shirt covered in spaghetti sauce, his hair disheveled from building a fort in the living room… I’m not looking at a man I hardly know anymore. I’m looking at my teammate, my best friend, the love of my life. And I can’t help but think he’s never looked sexier. Oh boy do I have news for you! You're totally gonna flip! 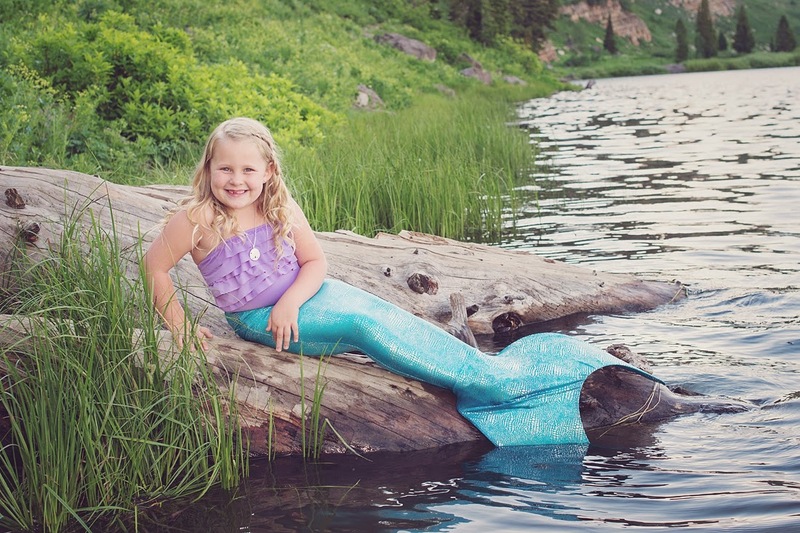 It turns out MERMAIDS ARE REAL! Like REALLY real! As real as the load of laundry hovering ominously behind me. You can't handle the proof!!! Check it out! 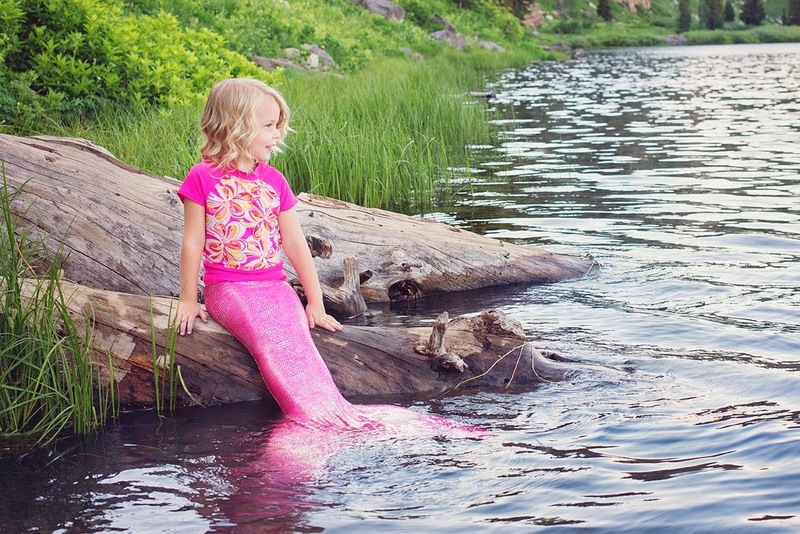 Real live mermaids! Okay so maybe they're not real in the traditional sense of the word, but they ARE super adorable. I'm not ashamed to admit that I'm totally living vicariously through my kids right now, and it feels great! 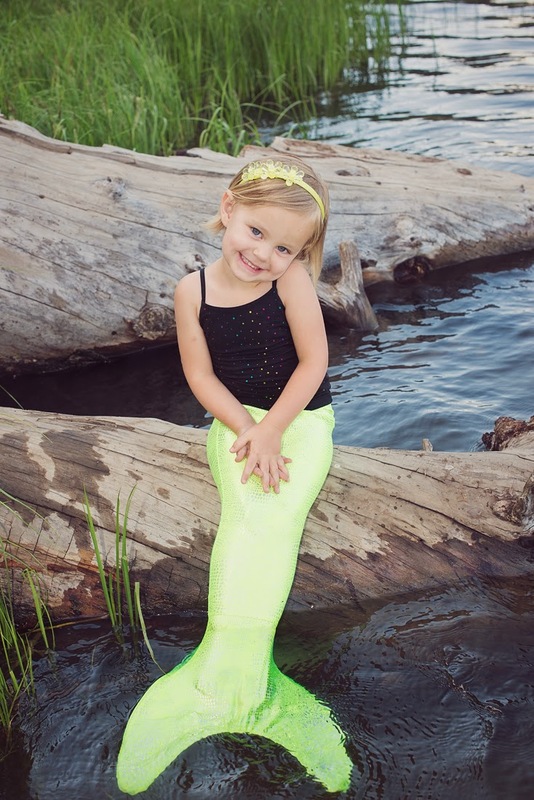 Now, let me start by saying I've done what is probably an unhealthy amount of research on all of the swimmable mermaid tails on the market. Shimmertail first caught my eye because they are a fraction of the cost of many of their competitors. Call me crazy, but I just can't bring myself to fork out hundreds of dollars on an obsession that my girls may or may not grow out of next month. 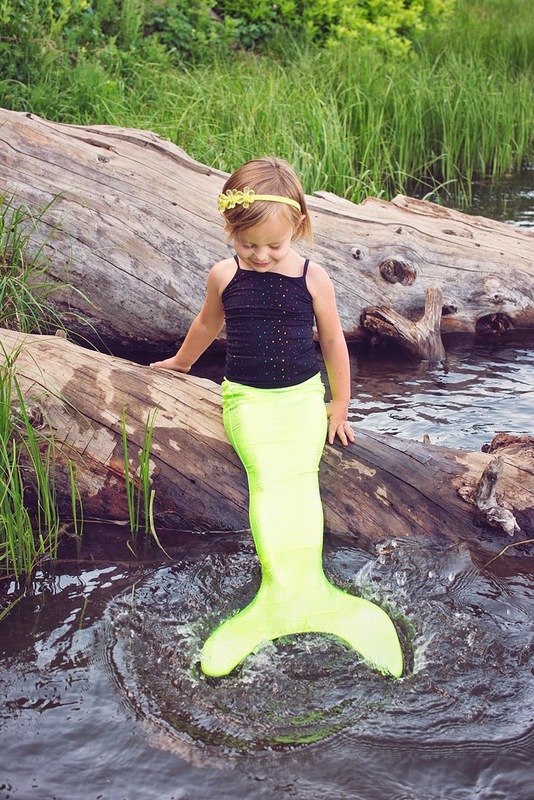 I also love that the Shimmertail mermaid tails come with a swim fin. I've found that typically the fins inserts are sold separately. 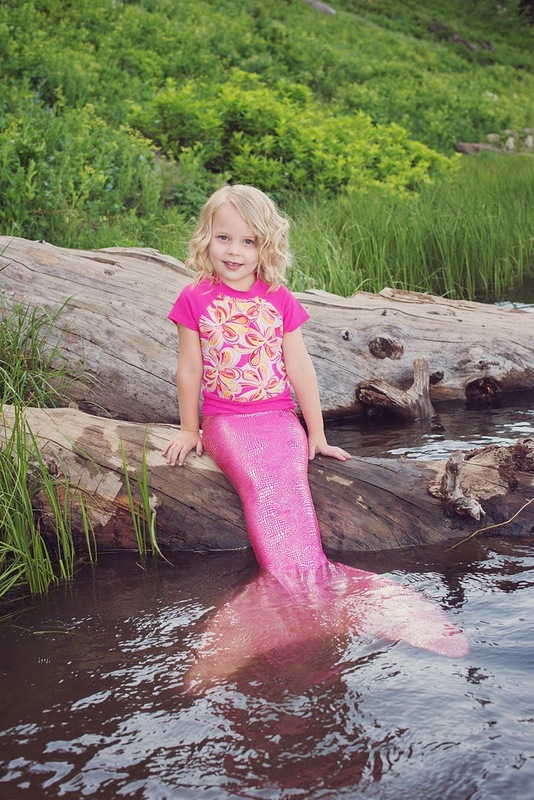 Do you have a little girl in your life who would just FLIP over one of these mermaid tails?! Today is your LUCKY day!!! We're giving one away!!! 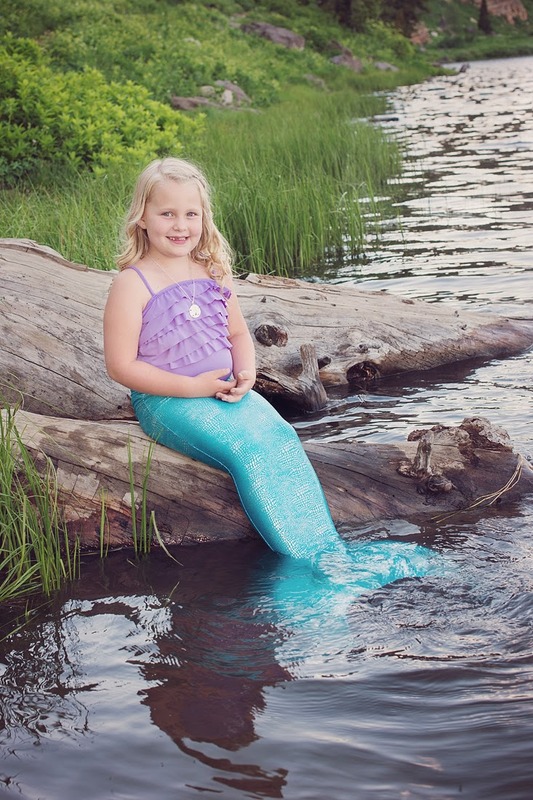 The winner will get to choose a mermaid tail of their choice, available in size 2-10. Entering is super easy- and we'll pick a winner at 9:00 p.m. on Friday night. Good luck!